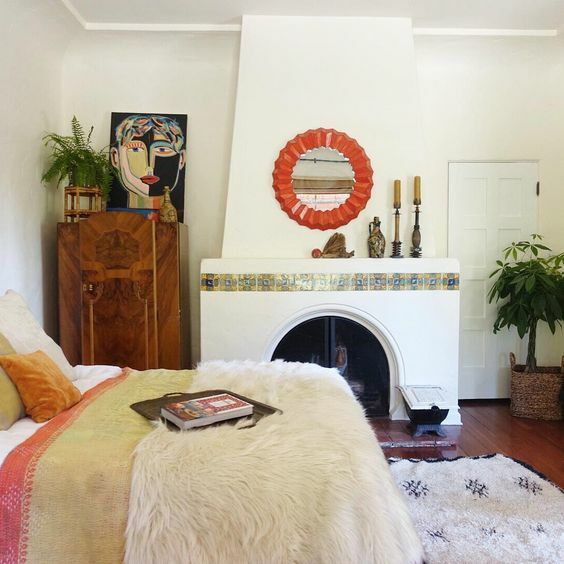 This 1927 home is eclectic, art filled, fun and vibrant! 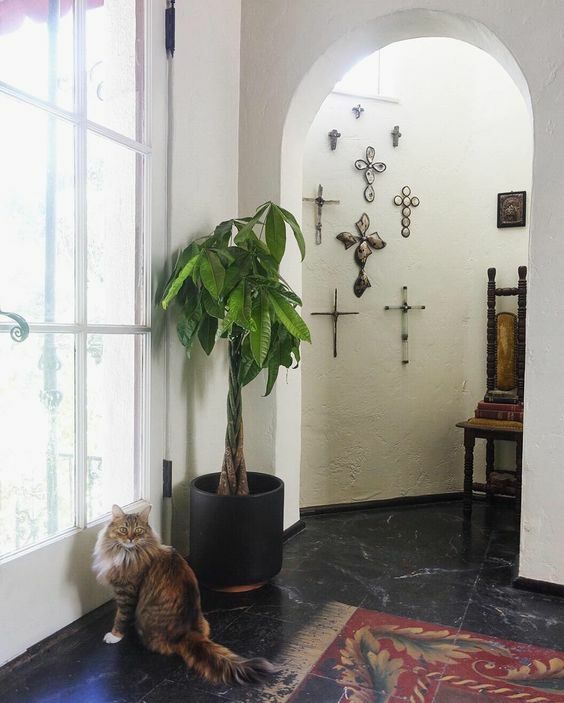 Sharlene of Sharlene Kayne Designs is an artist who has put her unique touch on her 1927 Los Angeles Spanish Mediterranean style home. 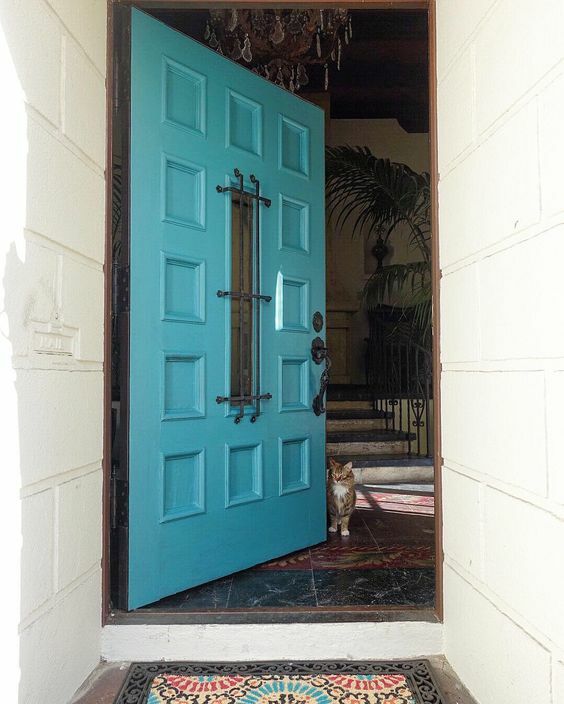 An old door gets a new coat of blue paint. A collection of hand made crosses when you step through the door says this is no cookie cutter homel. 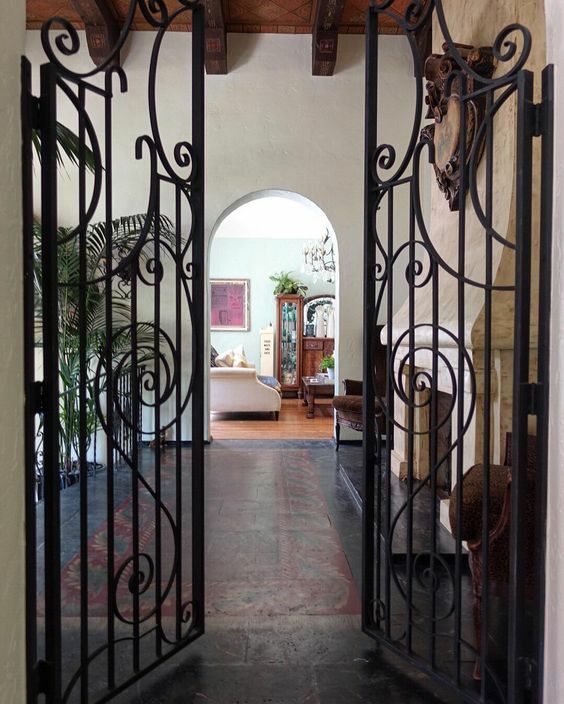 Old marries seamlessly with new. 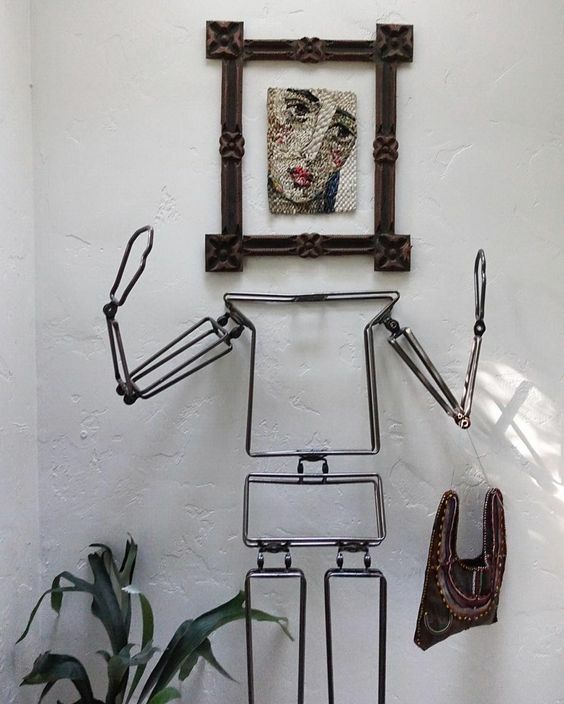 How fun is this $20 flea market iron sculpture! I love how Sharlene gave it her own unique head. 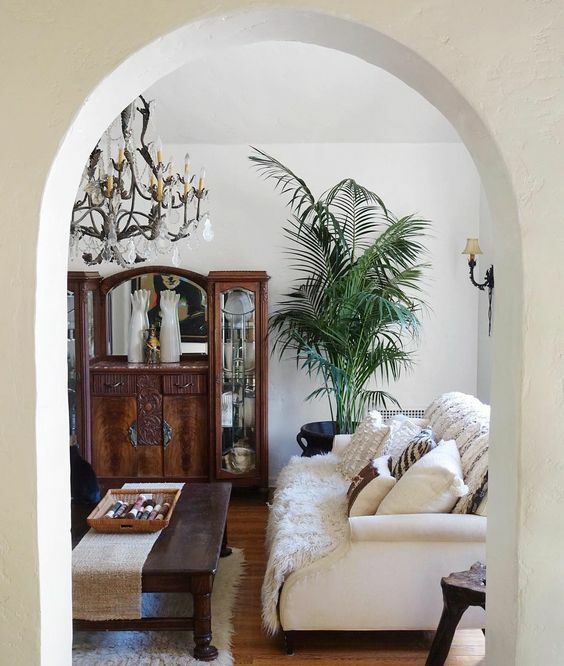 Arched doorways and plaster walls add old world character. 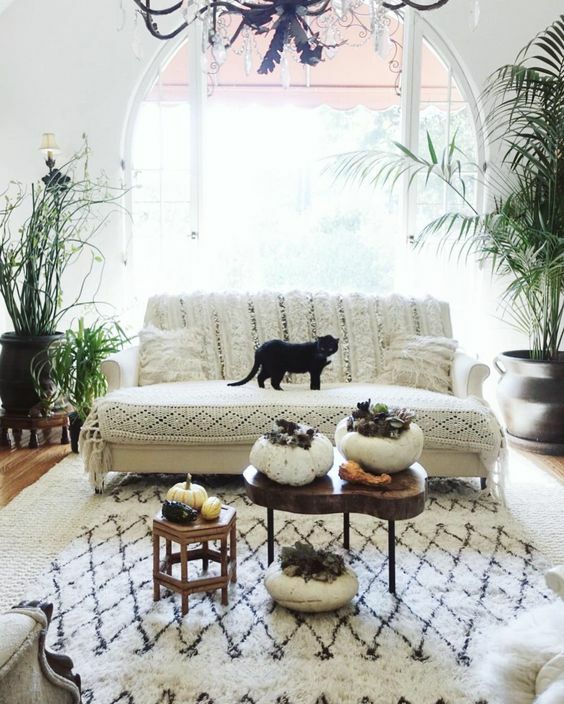 A Moroccan wedding blanket adds boho flair to the sofa. 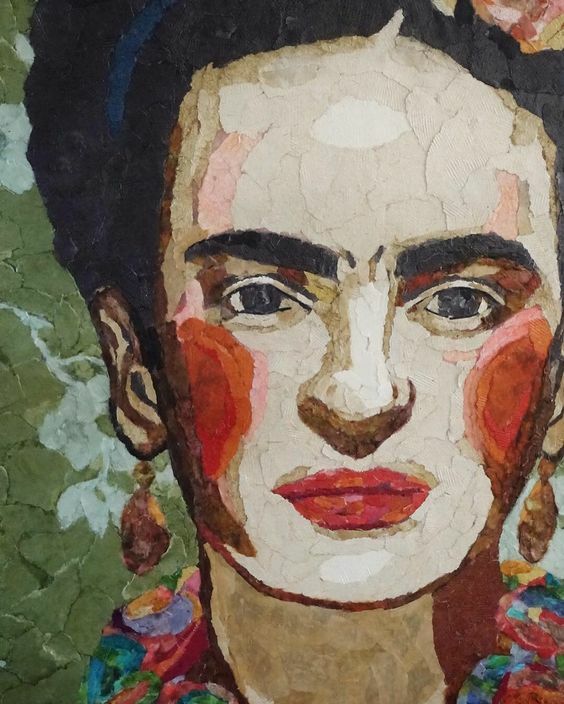 Sharlene creates torn paper art, like this Frida Kahlo portrait, using a variety of papers from all over the world. 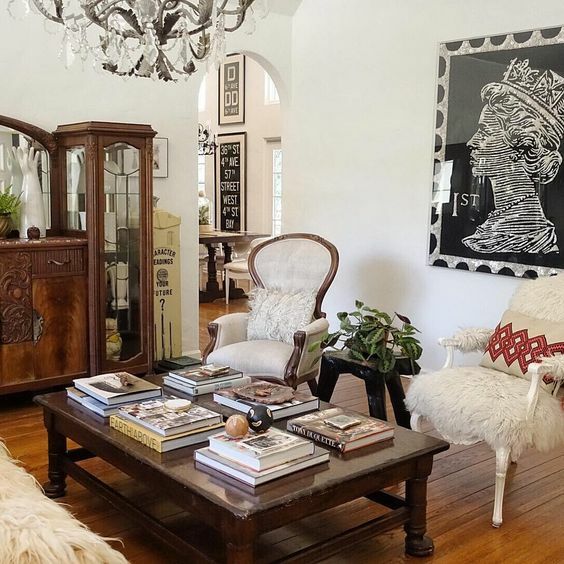 Mid century chairs get a coat of white lacquer and mix well with a dark wood table, iron chandelier and New York subway signs. 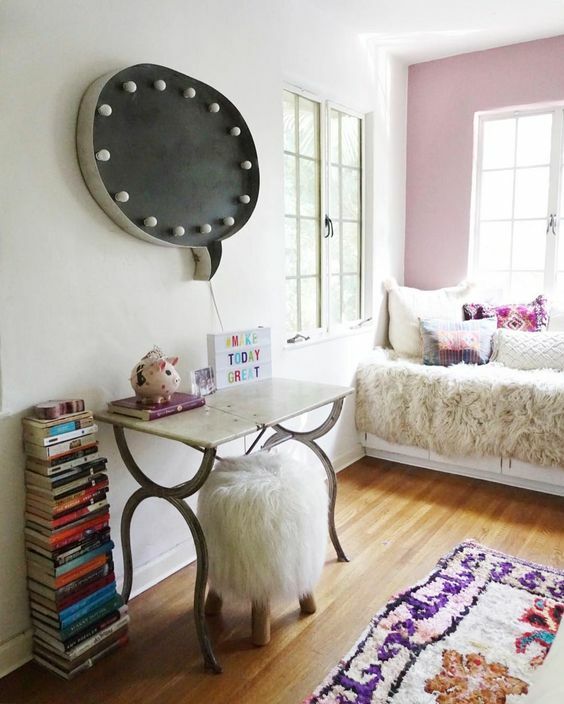 Great idea – cut a space behind a mirror for a medicine cabinet. 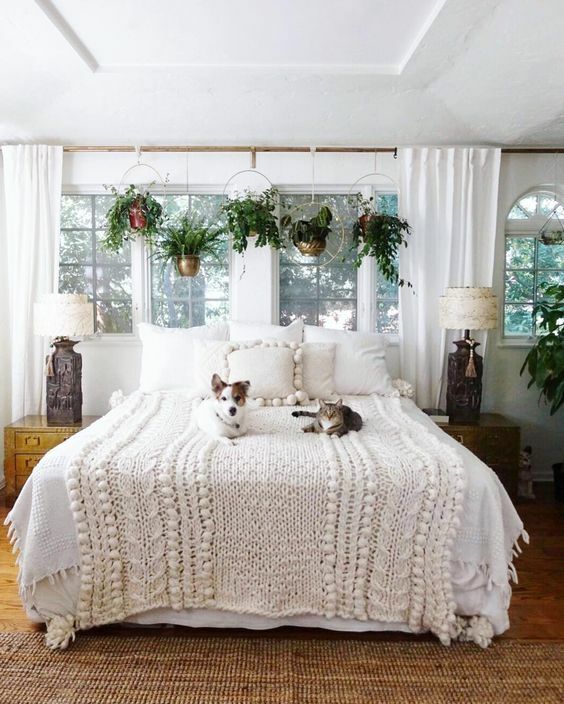 Sharlene’s menagerie are all rescue animals who are now living large. 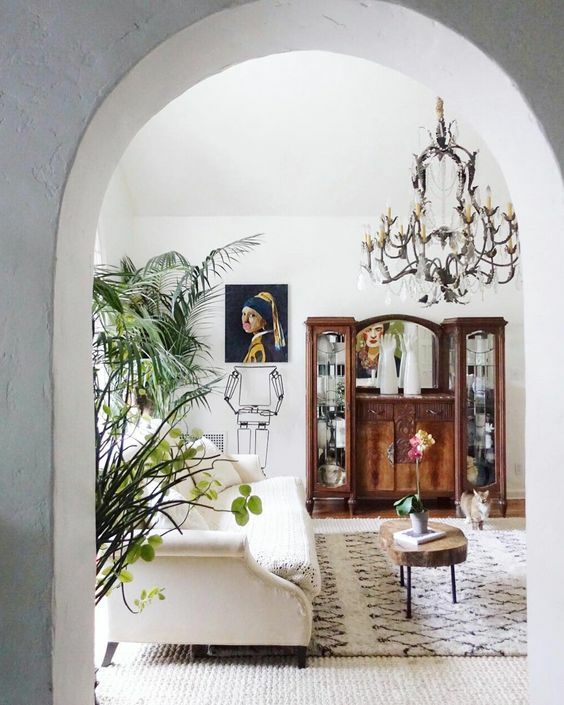 A barrel vaulted ceiling leads to the master bedroom. 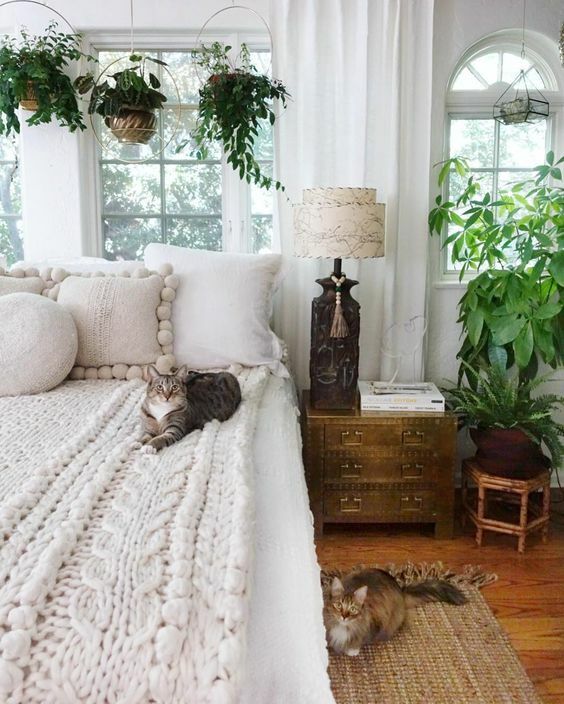 Who needs window treatments when you can hang lots of plants. 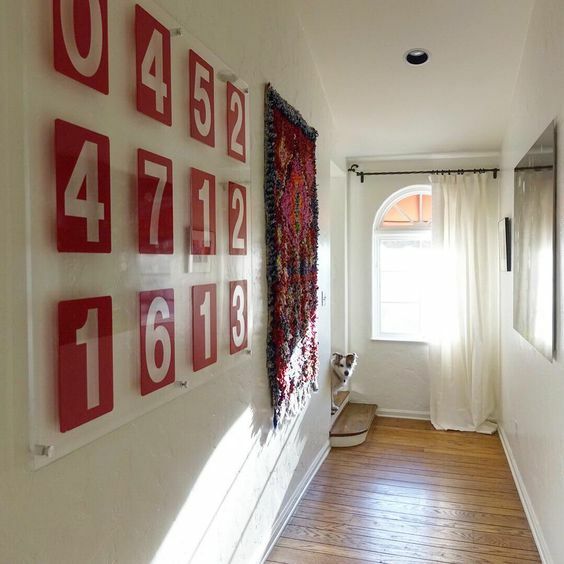 Love the large scale plexiglass art with addresses of her former homes. 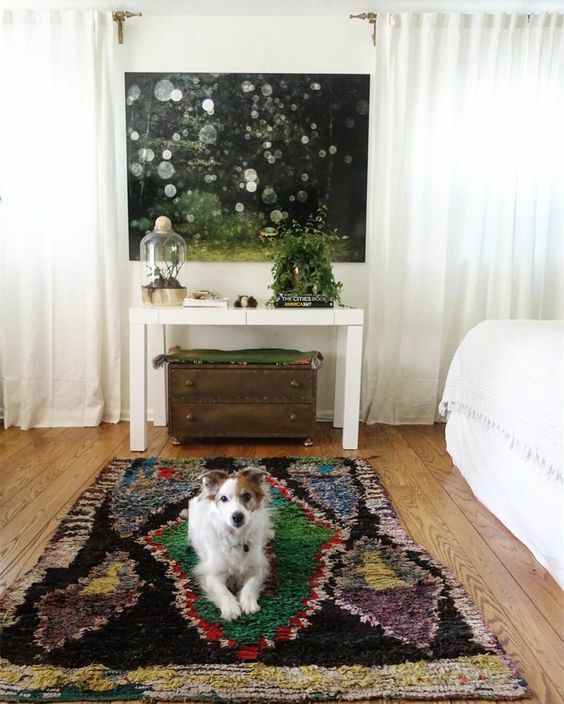 Vintage rugs and Kantha quilts are a quick and easy way to switch out the look of any space. 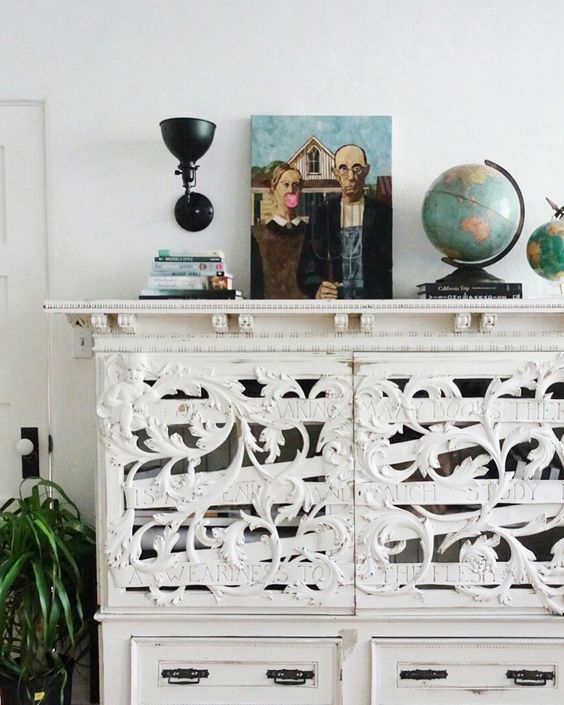 Look closely at the carved cabinet to find the Ecclesiastes 12:13 quote. 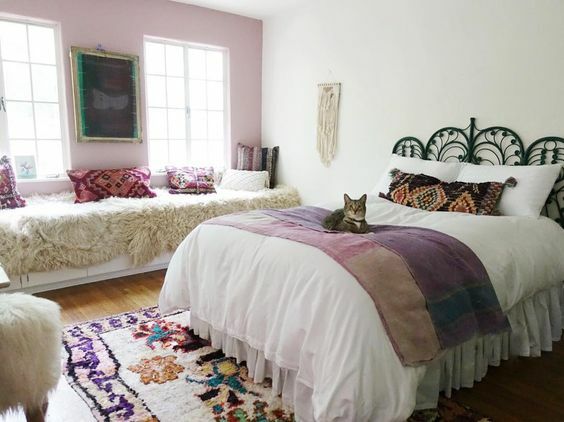 Sharlene’s daughters room is the cat’s meow. 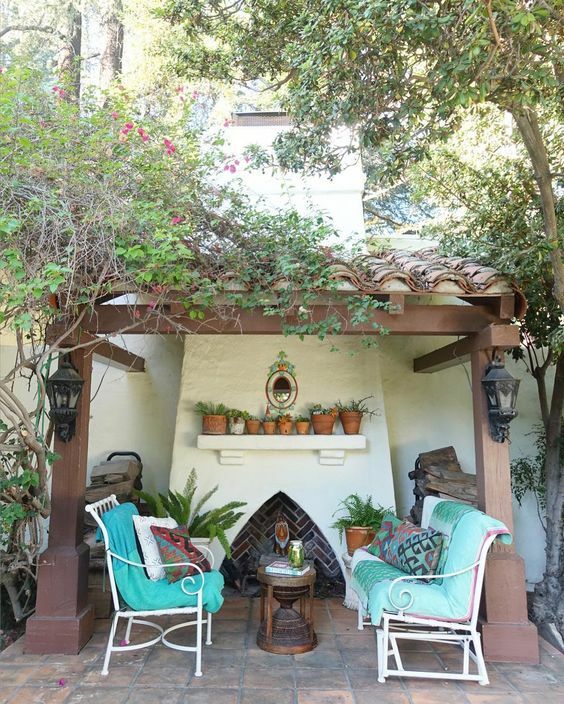 Spanish clay tile creates a perfect backdrop for a cozy outdoor getaway. 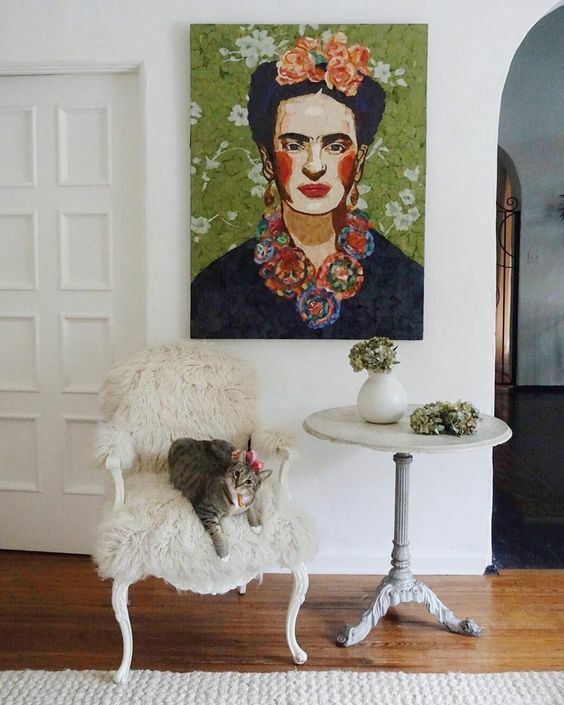 Visit Sharlene Kayne Designs on Instagram to see more of her stunning style and her torn paper art. 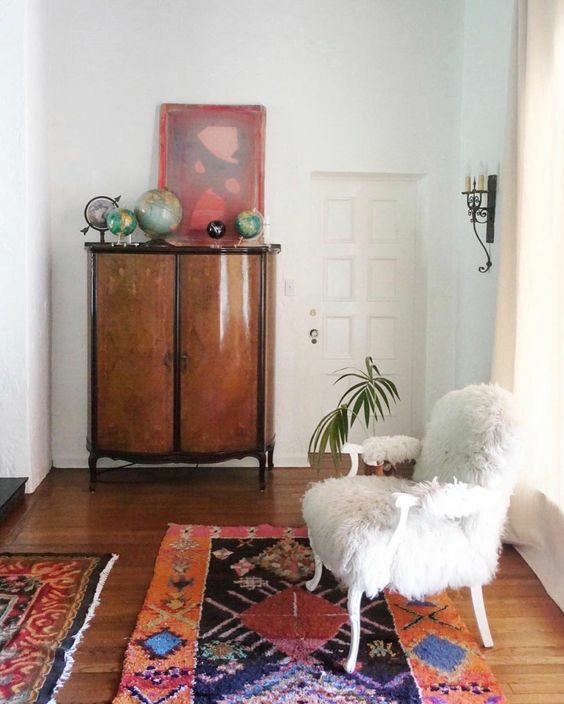 I always enjoy your eclectic home tours, but this home blew me away! 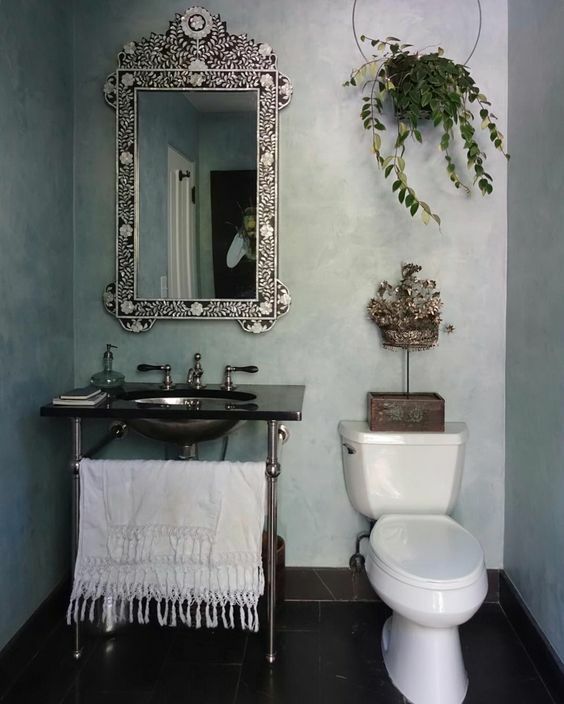 I love her style, especially the way she uses plants in her design. 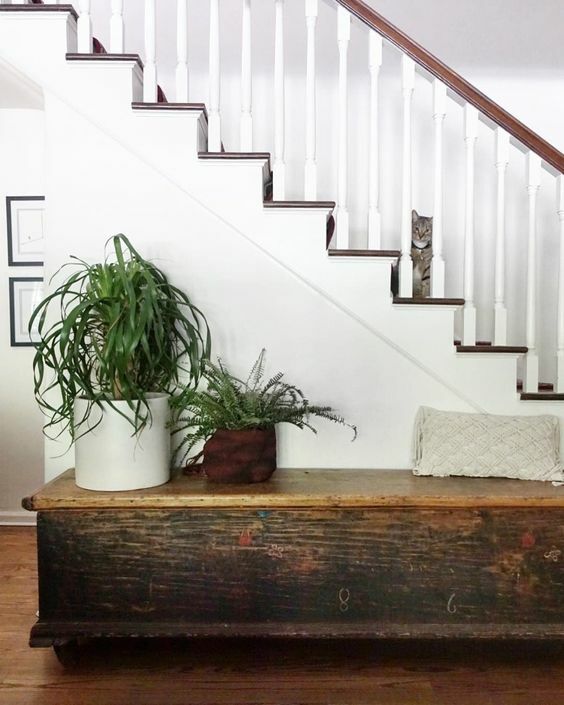 I definitely need more plants after seeing her gorgeous home! 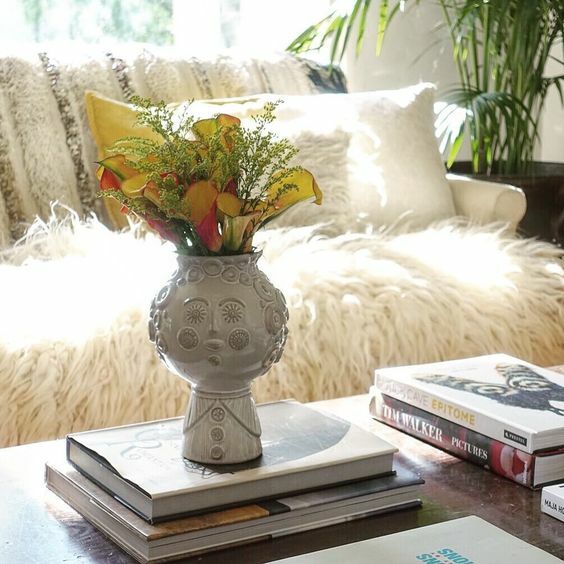 Love to see a home filled with whimsy! 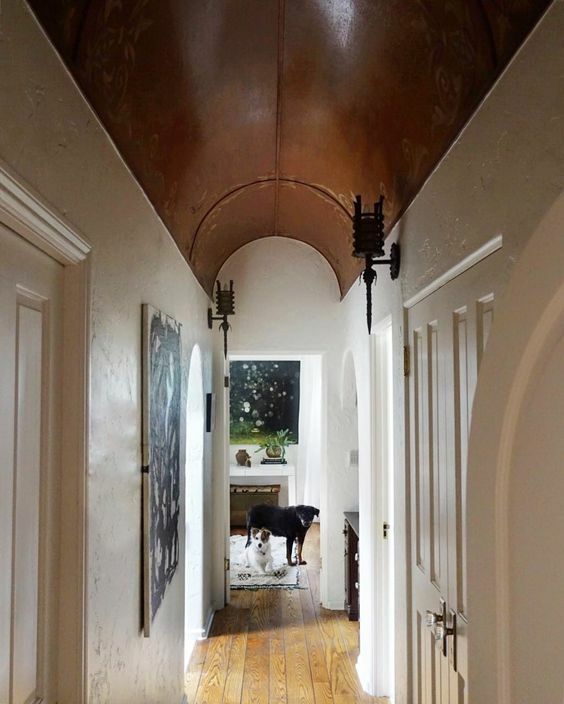 Oh, that barrel ceiling!! 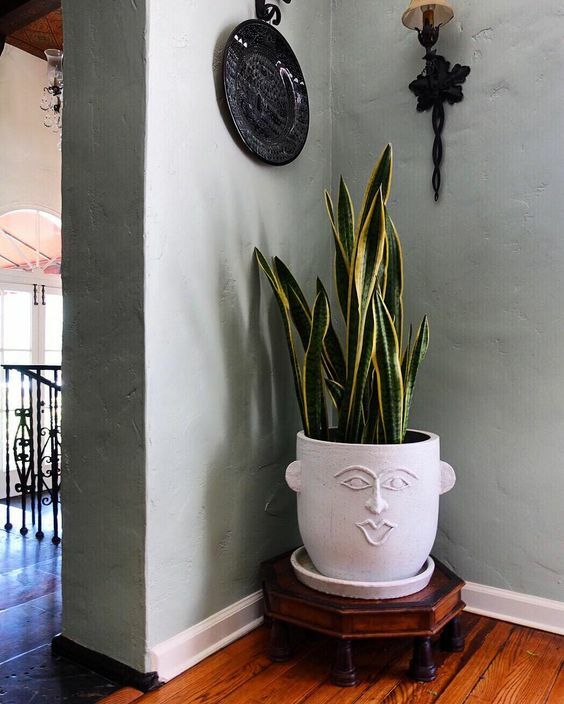 Really enjoyed looking at all the lovely things in this home. 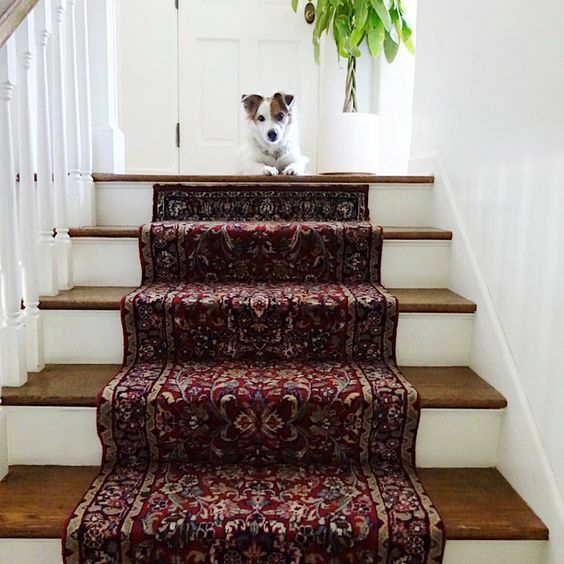 So unusual….and, the animals helped, too. 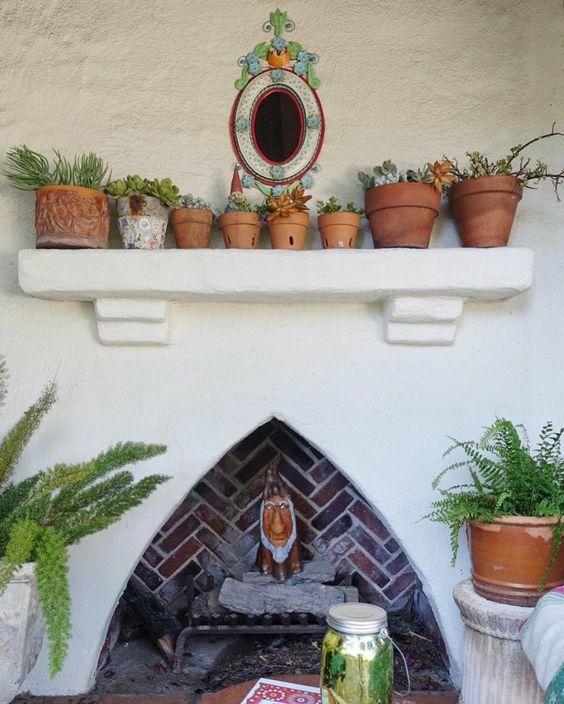 Her home is beautiful, warm and intriguing. 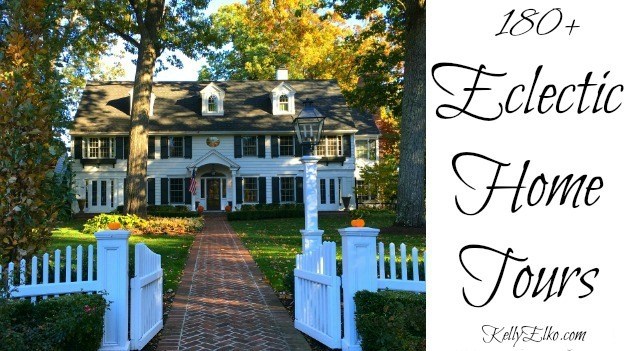 This is far from the first home tour I’ve seen but it is the first one I have ever reacted to with the thought that I would love to meet the home owner. Her personality comes through loud and clear and, with the added information that she is a pet rescuer, confirms to me the she is someone well worth knowing! 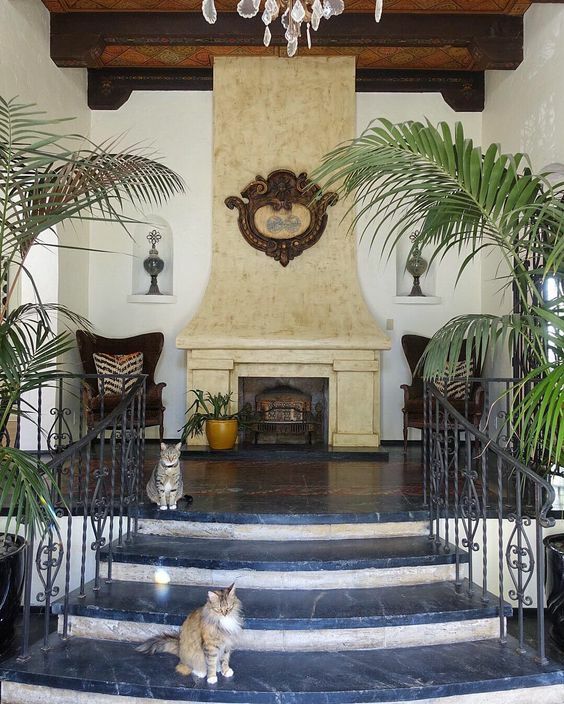 Agree Patty – her personality shines through and her pets are adorable!